Waste Force AS1004 waste disposal unit universal air switch EC Schuko plug and socket. Fits all waste disposal units including Insinkerator. German VDE approved 10 Year Warranty. 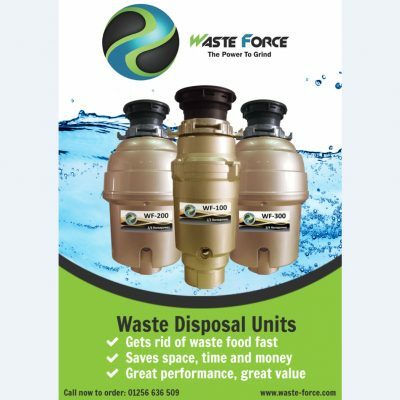 This universal air switch by Waste Force is suitable for all brands and models of 220-240V continuous feed waste disposal units including Insinkerator. It works by sending a pulse of air through a tube to the mains actuator which then switches the power on and off. This is completely safe since it means no electricity is taken near to the sink ( which is metal and conducts electricity ) where water splashes could pose a danger. Simply plug the mains transformer into a suitably positioned wall socket ( preferably in the sink unit cabinet ) and then plug the waste disposer into the transformer. 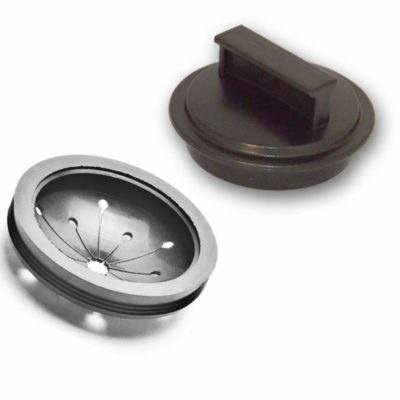 The button can be fitted on the worktop or in the sink slot ( just remove the existing blank plug and screw the nut on for the push button ). 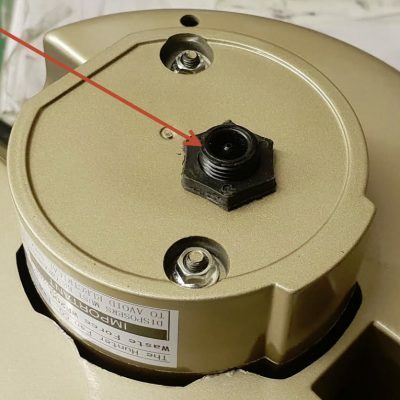 A 32mm diameter hole is required. Available in chrome, polished steel and brushed steel finishes. This product is German VDE approved and comes with full instructions and a 10 year warranty. VDE is the Association for Electrical, Electronic and Information Technologies and is considered to be the symbol of the highest electrical safety standard. 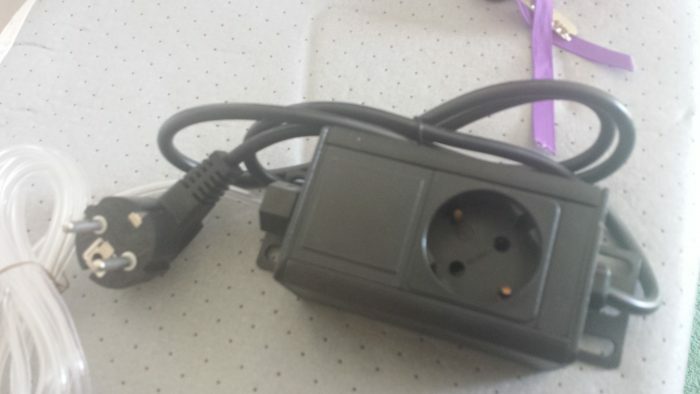 NB: This version has a EU socket and a EU Schuko plug for customers in the EC who have a European wall socket. Also please ensure you select the correct finish and correct size ( 46.5mm for sinks or 67.5mm for worksurfaces ). Download installations and warranty details.